Marianna Massey/GettyForbes ranks Putin as the most powerful person alive. Forbes came out with its list of the most powerful people in the world earlier this week. US President Barack Obama came in second. 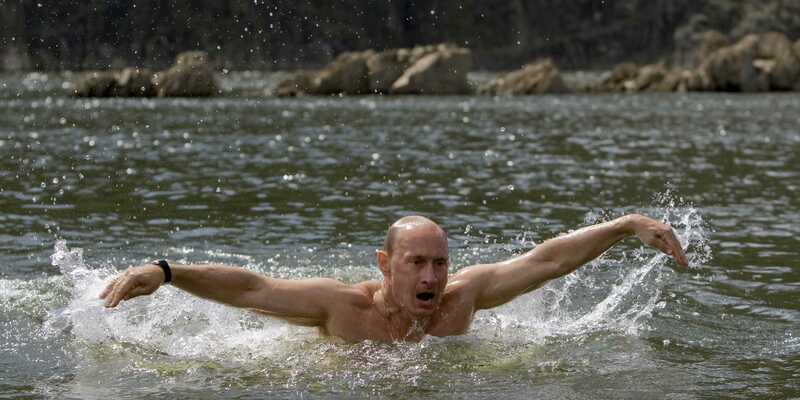 Russian President Vladimir Putin came in first. While Forbes obviously doesn’t have the final say on world power, it is compelling to investigate why Putin, the ruler of a faltering quasi-republic, is considered the most powerful person alive. For one, he has a remarkable grip on power. He became prime minister in 1999. That gig lasted until 2000, when he switched to president, which lasted until 2008. Then he became prime minister again — until 2012. He then went back to being the president of Russia, an office he’s held since May 2012. He’s effectively run the world’s largest country by landmass for 15 years. In roughly the same period, the US has cycled through Clinton, Bush, and Obama administrations. While American presidents struggle with a foot-dragging Congress, Putin seems to do whatever he wants. You could argue that, this year, Putin has executed the most flagrant displays of power yet. • Putin started a proxy war in Ukraine. 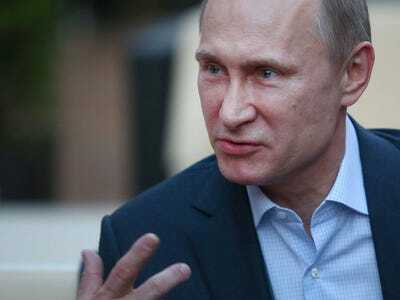 • Putin landed a $US70 billion gas pipeline deal with China. Reuters/Ria Novosti/Pool/Alexei DruzhininPutin isn’t afraid to get physical. But wait, there’s more: Putin continues to keep European energy in a chokehold, and he hosted a (mostly) successful winter Olympics. Putin has even figured out the meaning of life, as expressed during the 15th Congress of the Russian Geographical Society. In short, Putin went for it in 2014. And he isn’t backing down from his ambitions, no matter what Obama, David Cameron, and the rest of the gang have to say. Reuters/RIA Novosti/Pool/Alexei DruzhininPutin is basically unstoppable.